Former coach and player of Asante Kotoko Frimpong Manso has come to the defense of Head coach Jimmy Cobblah and the Black Satellites team after their abysmal performance in the on-going U-20 AFRICA Cup of Nations which saw the team exit the competition. 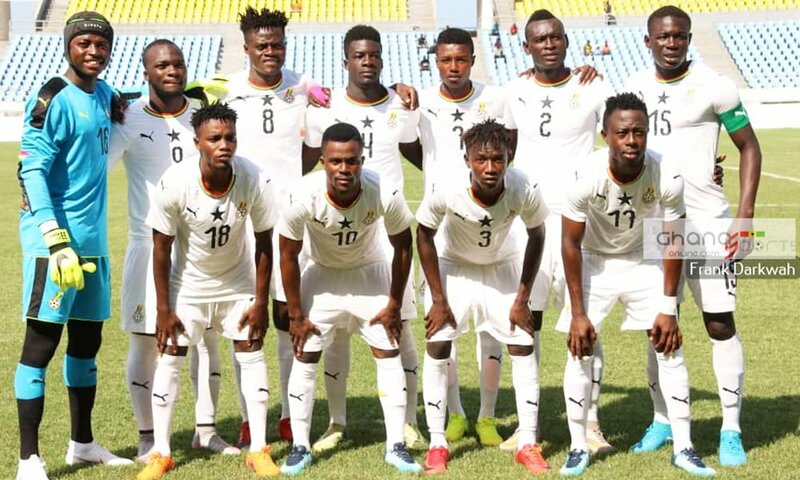 The Black Satellites needed at least a draw to qualify for the last four of the competition when they engaged Mali in the final round of the group. Jimmy Cobblah's side however failed to do the needful as Mali beat them 1-0 to dash their hopes of qualifying for the U20 FIFA World Cup in Poland. Several football pundits have chastised the team for their display at the mundial, but Frimpong-Manso has leapt to the defense of the team claiming that they are not the worst squad ever. "I will agree with the coach in a sense that, his preparation started during the WAFU and he realised some of the players were not fit during the WAFU so he had to invite new players, he told Asempa FM. "With the new set of players he had to start new preparations. In a way I will agree with him in a sense that he didn't get ample time to prepare the team. In football if the results are not positive, you are going to be blamed." "We cannot say this team is the worst U-20 team.Some coaches were not able to qualify the team to the tournament." "We have to look at the individual qualities in the team and promote those players to U-23. They shouldn't be neglected. We shouldn't condemn the players and the team, he added.